Can I see my students' work on a list if I didn't set it as a task? 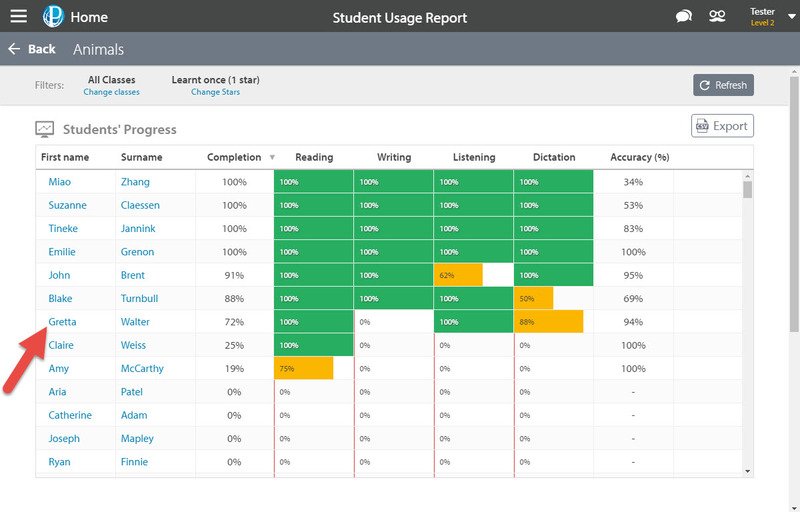 You can view your students' progress on a list or Smart Lesson even if you haven't assigned it as a task. This could be helpful if you are planning which tasks to set for your students in future or if you just want to get a general feel for what your students have covered in their own time. 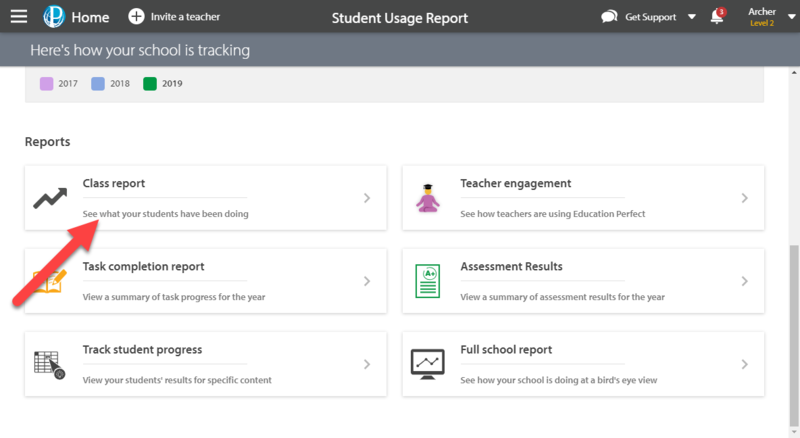 Click Student Usage & Data from your Control Panel. 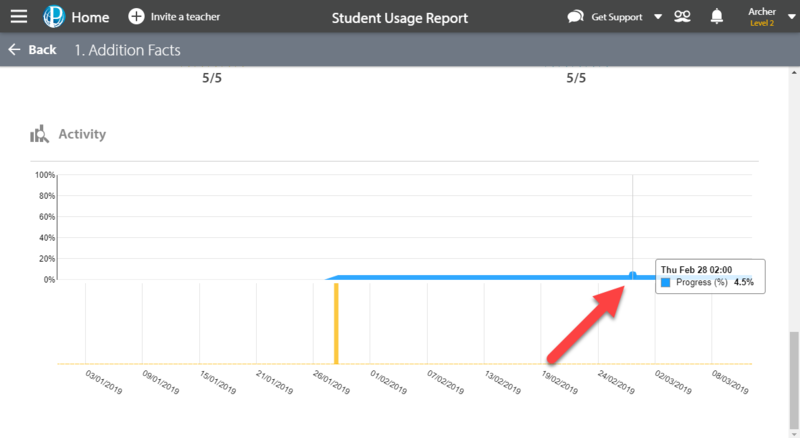 If necessary, filter to the relevant class, subject, or time period that you would like to view student progress for. Scroll down and choose the Smart Lesson or list in question from either the Recent Activity or Most Popular Activities box. This brings you to a progress report for this list or lesson. Refer to Insights for brief information about how many students have been assigned the task, and how far through it they are. Here, you can find out if any students have struggled with a section or if some have completed sections that you can check out. Activity shows a graph of cumulative completion over time, so you can see when your students attempted this content. Hover over the graph to see the percentage completion at a specific time. The Students' Progress box provides information about how individual students are tracking with this content. Hover over a box to see, at a glimpse, how a student is progressing with a specific section of the material. 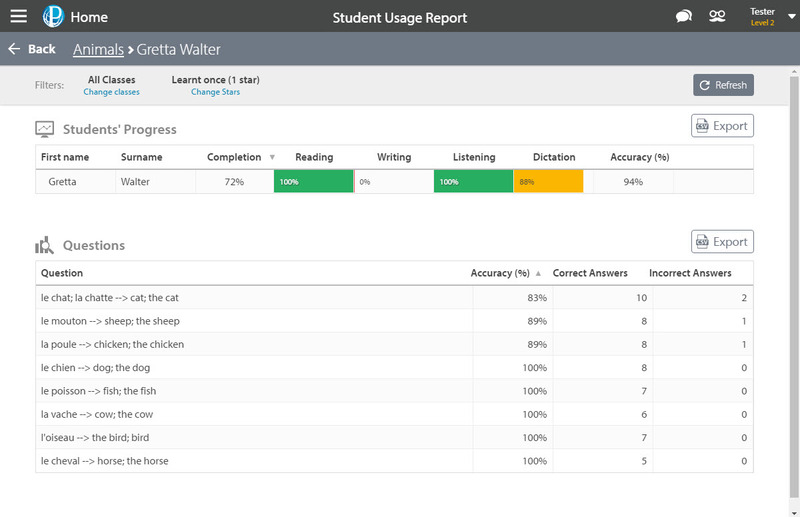 Select a student's name to view a full breakdown of their progress on this Smart Lesson or list. Section Details provides a question-by-question breakdown of results. If students have left any feedback while attempting this content, including how confident they feel after completing the lesson and how useful they found it, it will appear at the bottom of the progress report. Refer to the Students' Progress box for a breakdown of individual students' results according to learning mode. Click a student's name to view a breakdown of their results. Refer to the Questions section for an overall summary of how accurate the students have been with each question.